Have you begun to witness a frozen black screen over you iPhone 7? Does application available on your iPhone fails to work accordingly? Does the glitch affect the smooth working of your iOS? If that is stressing you time and again; leaving you with no option, then, we are here to undo any irksome problems. All you can do is hard reset iPhone for retrieving your iPhone back to its normal state. 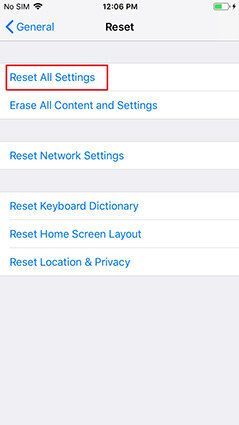 For minor problems, you can resort to soft reset over your iPhone. If you don't know how, reading this article will be of worth. We will also introduce you with useful software that will unwind all your iOS problems. So, read this article till the end. Hard resetting implies to force restart your device. It is adopted when you can not nomal reboot iPhone, hard reset will help you to force restart it and bring iPhone to normal. We're discussing the steps for this in the next section. Different from hard reset, a soft reset can be defined as a normal rebooting or restarting your device. In other words, it implies simple turning off and then turning on the device. Performing this can be considered as apt when the device misbehaves with you or you aren't able to operate it properly due to minor issues like freezing. In such scenarios, soft reset works as a first aid. You just have to long press the 'Power' button of your iPhone until slider appears. Slide it towards right and the device will switch off. Press the button again and turn on the device now. This nowhere results in data loss and can mend the situation well. 1. Press and hold the 'Sleep/Wake' and 'Volume Down' buttons simultaneously. 2. Maintain the hold until you are able to Apple logo displays over iPhone's screen. Fixing iPhone stuck on Aplle Logo for unknown reason. Fixing iPhone stuck in recovery mode. Solving applictions failed to work. Hard reset acts as the best troubleshooting step in such cases. All in all, performing this could resolve a good deal of issues. In case hard reset fails to fetch your device state to normal then place your faith on Tenorshare ReiBoot, a reliably secured way of overcoming a range of iPhone issues. 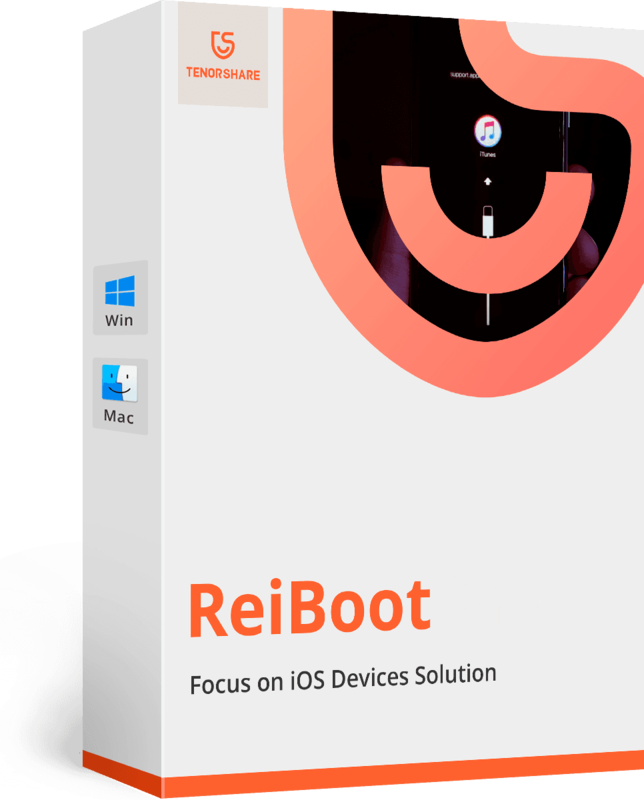 Be it, your iPhone getting stuck on the Apple logo, having iPhone frozen screen or the applications behaving improperly, with ReiBoot you can mend it all. Flared with the feature of supporting a range of iOS devices (new or old) and the latest iOS 12, this software conveniently works down with it all. Moreover, the icing to the cake part is that you do not lose any data from the device while performing hard reset on your iPhone. So without delving in any further detailing, the following comprehensive guide will enlighten you how you can use this tool as the normal hard reset alternative and reboot your device perfectly. In case hard reset on your iPhone 7 fails to work, download Tenorshare ReiBoot on your PC/Mac or any desktop you are currently working on. Till then, use a lightning cable for connecting your iPhone with PC/Mac. Once the application gets downloaded, ensure to click on 'Trust' on iPhone if any such message comes up. Thereafter, your device will be automatically detected and displayed over the screen. Now, you will see three modes (Recovery, Fix iOS, Exit Recovery) that work like a step by step ladder in fixing the iOS issues. All you got to do is tap on 'Enter Recovery Mode'. Your device will successfully enters into the recovery mode after this. Within a couple of seconds, you will view 'Enter Recovery Mode' message over the screen. It will perform a deep scan of problems, fix them on the background. Begin with launching the program once again and connect your device to the PC. Since your device is in recovery mode, the program will detect it. 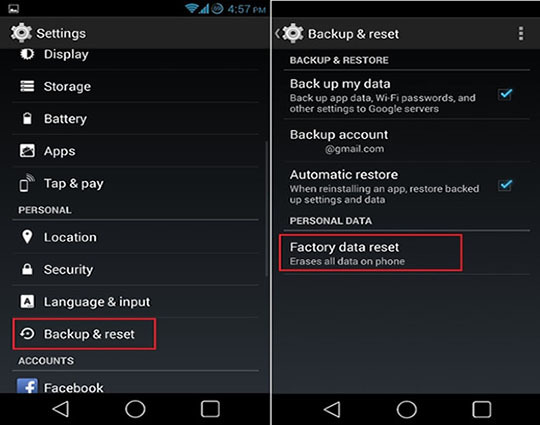 During this, you will notice highlighting of the 'Exit Recovery Mode' option. Just hit on it and your device will reboot now. By now we have understood what reset is and its types – Hard and Soft Reset. Depending with the urgency of situation, you can perform the suitable one to trace your iPhone in its normal state. But, if your iPhone has undergone some serious issues and the hard reset fails to work altogether, the best way to recover your iOS devices is by making use of Tenorshare ReiBoot that operates the problem of your software just as a doctor. With ReiBoot, you can undo any potentially dangerous problem in just a blink of an eye. So, what are you waiting for? Get ReiBoot now!